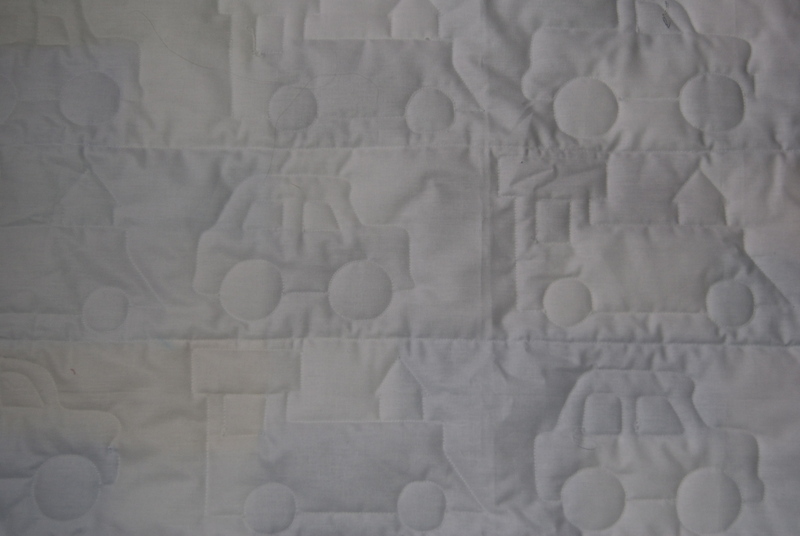 This is what I have been working on for the past several weeks. other thoughts about this though. perimeter. In the center section, I stitched in pebbles. 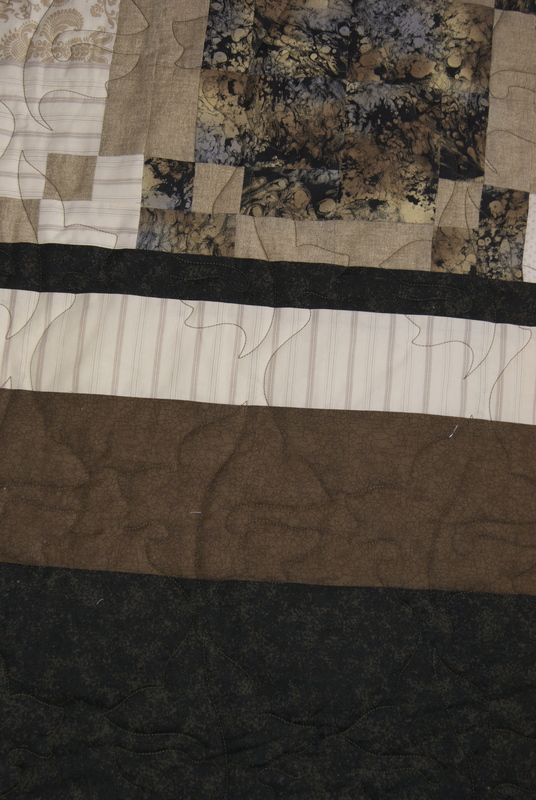 my favorite part of working on a quilt. 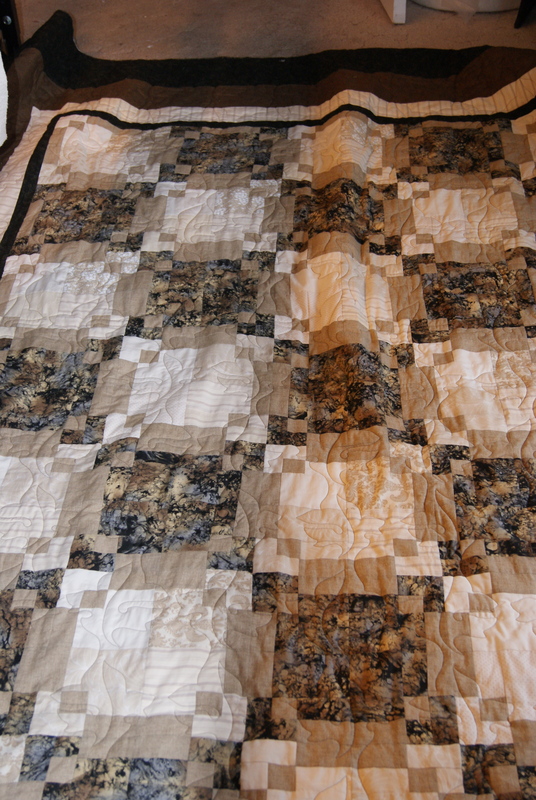 completed quilts I did for customers, before Christmas. 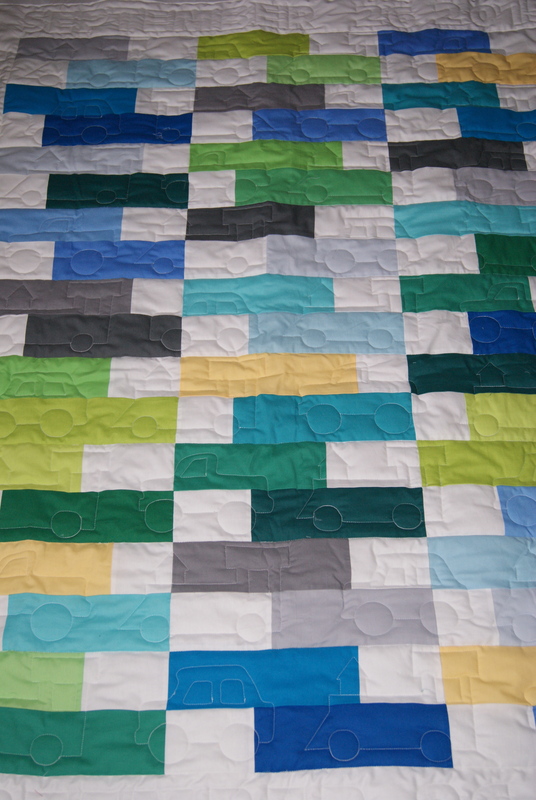 I can’t remember who made this quilt but it was big!! 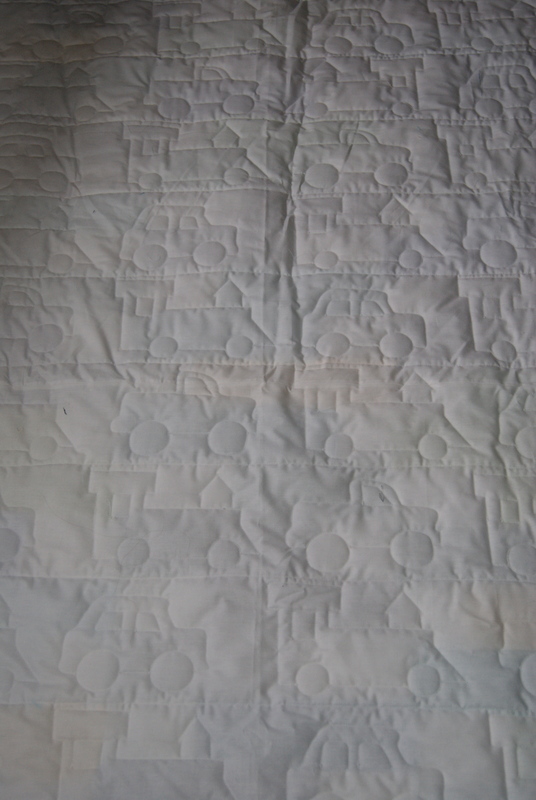 The cream backing really shows up the pattern nicely. at Dollarama. They were made of fun foam too. have you found at Dollarama? machine, which my darling husband bought me last summer. 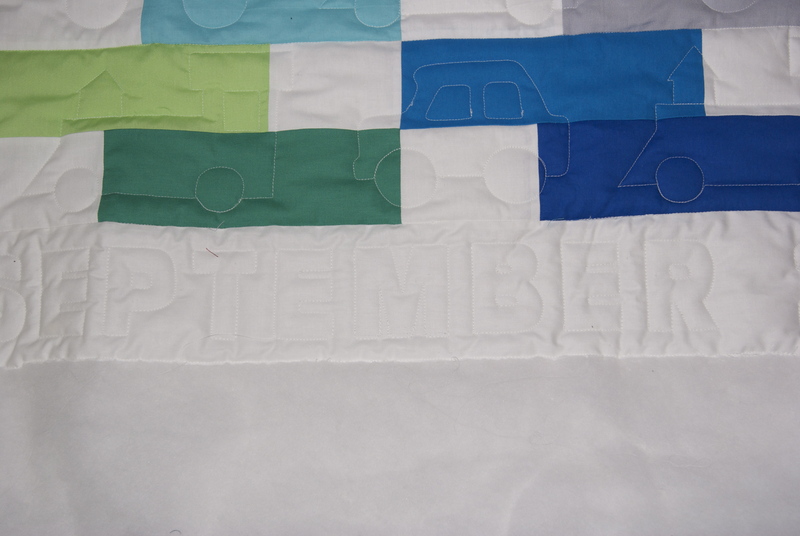 I cut all the letters and laid them out on the border. them out. What a time saver that was!! A close up of the trains, cars and trucks. or so but the one I made last night took me over an hour! 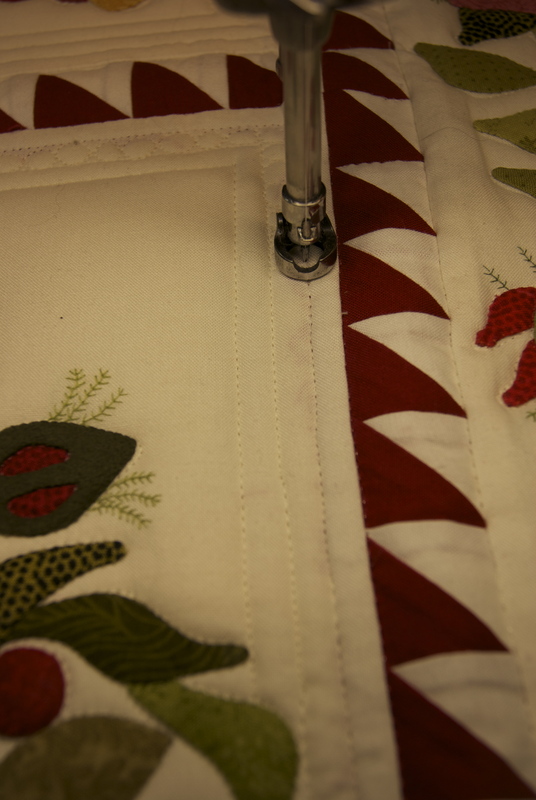 The applique quilt at the top is so intricate and beautiful it has left me speechless! 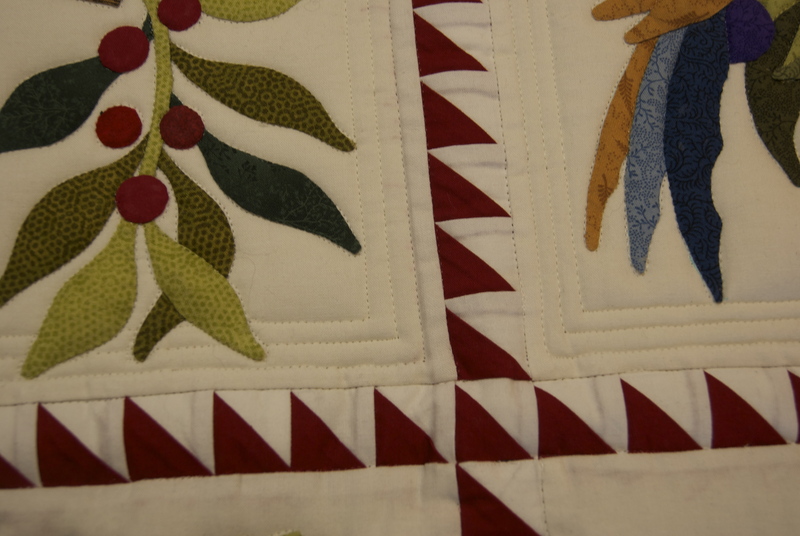 Love your quilting….beautiful. 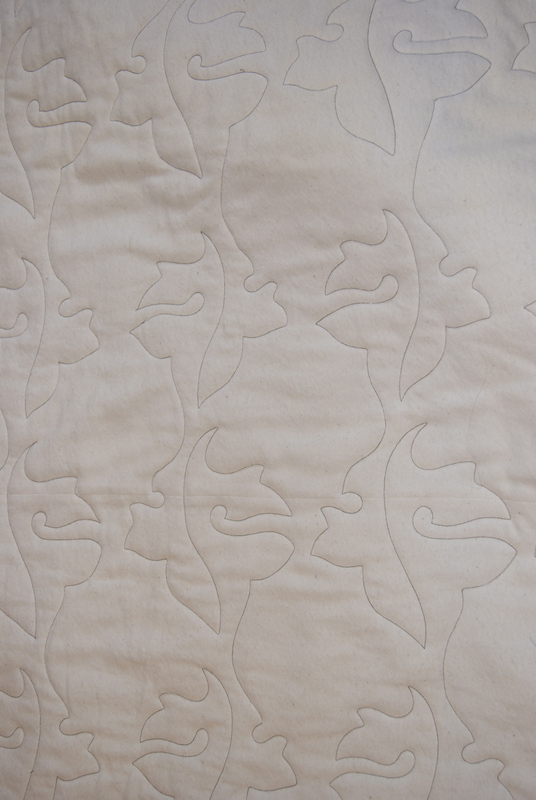 What a beautiful appliqué quilt! Can’t wait to see the finished product! We used to call things that get in the way of progress “unforeseen requirements”. Boy have I ever had a lot of those the last 2 years! 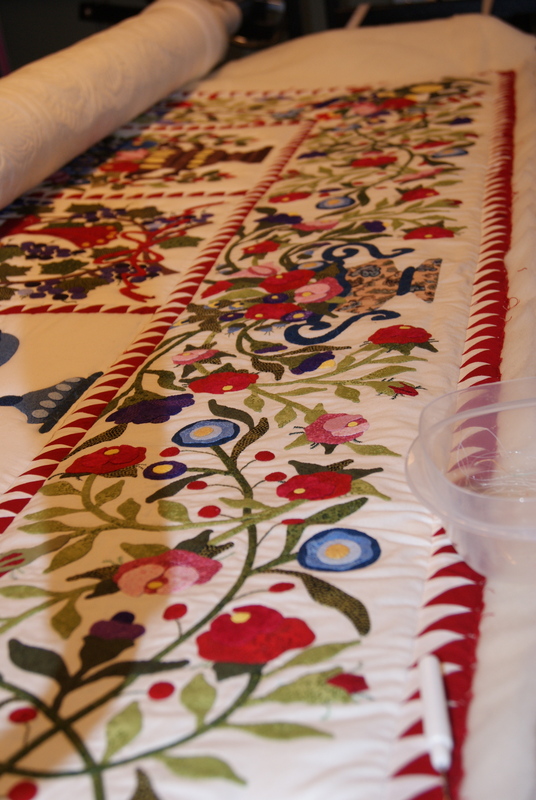 Looking good – I really like the first quilt in the frame – Beautiful! Not to worry if you don’t get it done when planned. 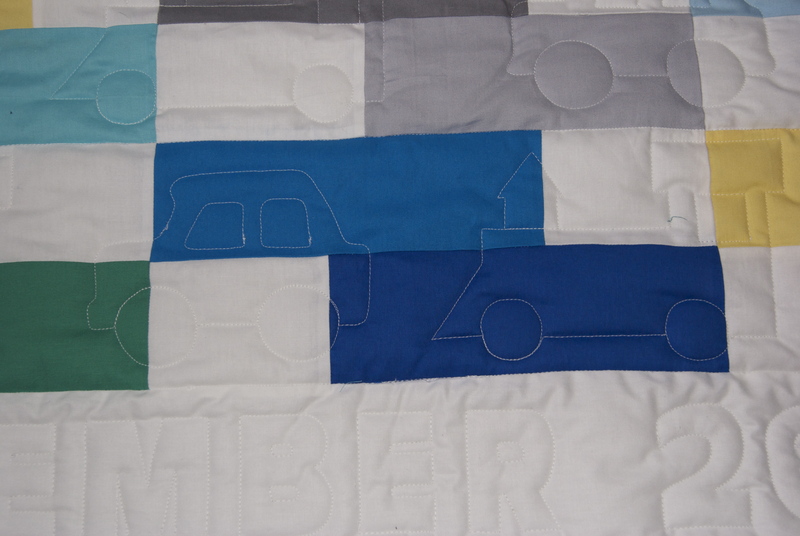 I love the appliqué quilt. I totally agree that the straight lines with pebbles looks really classy.